This is a guest post by Christopher Smith who is a Captain with the airline BA Connect. It was first published in December 2006, the discussion generated then can be read here. The post is based on a presentation (pdf) made to the oil depletion conference held in London last year. Aviation is one of the fastest growing industry sectors in the world, growing at 2.4 times the rate of world GDP. The industry consumes over 5 million barrels of oil per day worldwide, almost one tenth of all the oil used for transportation. In the UK, according to the Department for Transport, the UK aviation industry is growing at approximately 5% per year while its fuel consumption is growing at 3% per year. Carbon dioxide emissions from aviation vary directly with kerosene consumption. The resulting CO2 from UK aviation accounted for 5% of the national total in 2003. The UK Environmental Audit Committee forecasts the value will be 10 to 12% in 2020 and could rise to 40% by 2050 if not checked. The unconstrained growth of aviation CO2 emissions is incompatible with the UK government's target to reduce national CO2 levels to 40% of the 1990 level by 2050. In this discussion we will look at issues specific to jet aircraft fuel. Jet fuel has several unique requirements that complicate the search for a replacement. Next we will examine the possible alternatives and weigh their pros and cons. Finally we will look at what the airline industry is doing today with the fuel it has available. Figure 1. 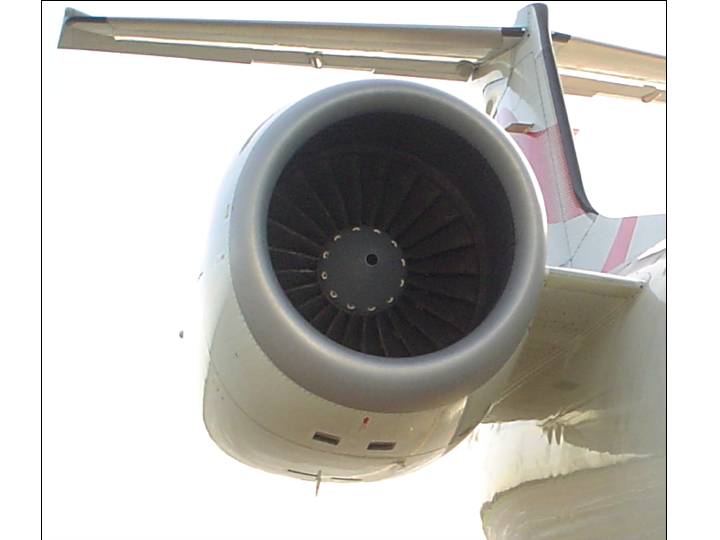 The Allison AE3007A Turbofan (Jet) Engine. There are two parameters by which we can measure the energy content of fuel. 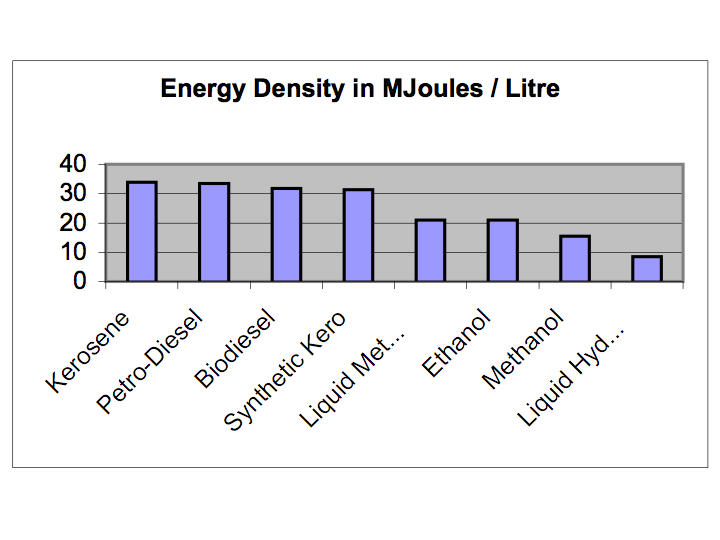 Specific energy is the energy content per unit mass (Joules / Kg) and energy density is the energy per volume (Joules / Litre). By law, jet aircraft carry at least enough fuel to reach overhead their planned destination, thereafter fly to their planned alternative landing aerodrome, fly an approach to land at that aerodrome and still have enough fuel to hold for 30 minutes. There is always the possibility that some unforeseen difficulty will arise which causes a delay or necessitates a diversion to an alternate aerodrome. Airlines add a bit more to allow for these unexpected delays. The more fuel an aircraft has on board at takeoff, the heavier it will be. From a design point of view, the more fuel the aircraft needs to carry, in mass or volume, the larger the aircraft and engines would need to be and the more fuel needed to perform the flight. Operationally, the heavier the aircraft is at takeoff, the more fuel that will need to be carried to lift it into the air and carry it to its destination. As fuel is consumed in flight, the aircraft becomes lighter and more efficient. A fuel with high specific energy would have two benefits. Firstly, the higher the specific energy of the fuel, the lighter the fuel load for a particular range. This in turn means that less fuel would be consumed over the duration of the flight. All fuel on board an aircraft in flight that is not being used at that moment is little more than payload and requires additional fuel to carry it. Secondly, an aircraft designed to achieve its maximum range with a smaller mass of fuel would be built lighter and with smaller engines. The argument for high energy density is similar. Energy density is the amount of energy per unit volume. For a given flight distance, an aircraft using a fuel with a low energy density would need a larger volume of fuel. Even if the total mass of fuel was the same (or even less), the higher volume would require a larger fuel tank, likely resulting in a larger aircraft. Jenkinson, Simkin and Rhodes, in their book "Civil Jet Aircraft Design", state that for every kilogram of unnecessary structure mass, the maximum takeoff mass will increase by about 3 kilograms. They also state that there is direct relationship between operational empty weight and both purchase price and operating costs. The best jet fuel would be one with a very high specific energy and energy density. Fuel used in commercial aircraft must meet stringent safety requirements. Aircraft operate for long periods in the heat of the desert and in the freezing cold of the stratosphere, and from the high atmospheric pressure at sea level to the extremely low pressure at high altitudes. Aircraft are subjected to turbulence and, occasionally, lightning. The Jet A-1 kerosene used in Europe has a flash point of not lower than 40° Celsius. This high flash point minimizes the flammability and explosion hazard within the fuel tank and in aircraft accidents. The air temperature at jet aircraft operating altitudes is extremely cold. It is critical that the fuel does not freeze or thicken at temperatures as low as -47°C. It is equally important that the fuel does not contain or absorb water. In these cold temperatures ice crystals will form which will block fuel filters and lead to fuel starvation. The consumption of kerosene in jet aircraft generates 3.2 tonnes of CO2 for every 1 tonne of kerosene consumed. While there is currently no restriction on the production of CO2 from aviation sources it is only a matter of time. Domestic aviation sources of CO2 are included in national greenhouse gas emissions inventories and are likely to be subject to emissions limits in the next couple of years. International aviation emissions are more problematic but there is increasing pressure on the International Civil Aviation Organization (ICAO) and national governments to develop a workable solution. There is increasing likelihood that aviation will be included in the EU Emissions Trading Scheme as early as 2011. In 1999, the Intergovernmental Panel on Climate Change (IPCC) produced a report titled "Aviation and the Global Atmosphere". The report was the first comprehensive assessment of the climate change effects of air transport. One of the most significant results of the study was the determination that the current focus on CO2 and Global Warming Potential was unsuitable for aviation. The report states that Radiative Forcing is a better indicator because it takes into account CO2, water vapour, soot, particulates and ozone. Due to the high altitudes at which jet aircraft operate, these other products of combustion play an increased role. 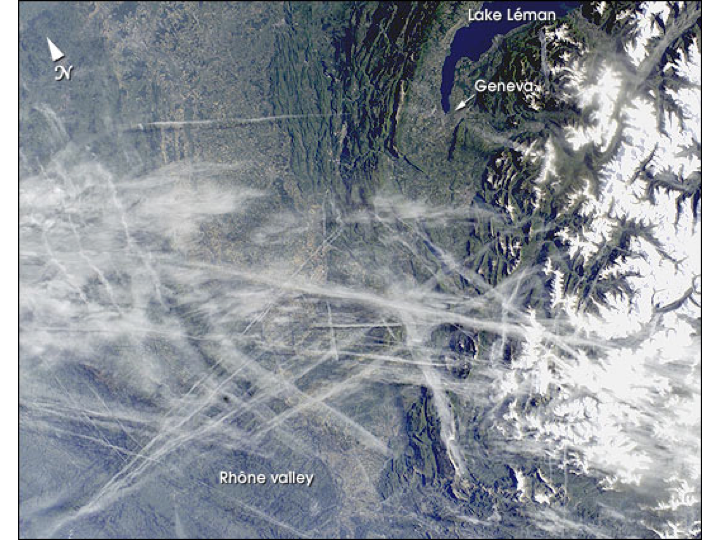 The contrails formed by jet aircraft in some environmental conditions may also have a significant radiative forcing value. The IPCC determined that the overall climate change effects of aviation are approximately 2.7 times greater than the effect of the CO2 alone. The aircraft and engine manufacturers have made great strides in improving the energy efficiency of their products. The problem for the aviation industry is that its growth is outstripping the efficiency improvements in technology. As other industries strive to reduce their overall CO2 emissions, the aviation industry percentage of the total will increase. This is bringing the industry under increasing scrutiny from all quarters. The aviation industry needs a fuel with less environmental impact if it is to continue to grow. The greatest advantage of kerosene over other fuels today is that it is available everywhere. Aircraft are expensive and highly mobile assets but they are of no value if they cannot be refuelled. Wherever they go on the planet there will usually be a supply of aviation kerosene. Kerosene is portable, storable and available. For many years it has also been relatively inexpensive. Even so, for most airlines, fuel is their single greatest expense at somewhere between 10% and 35% of total operating costs. The price of fuel is frequently cited in airline profit and loss statements. Aircraft in flight operate within a narrow centre of gravity range. The consumption of fuel during the flight alters the aircraft's centre of gravity and, on larger aircraft, fuel may be pumped forward or aft to maintain trim. This may not be possible with solid or gaseous fuels. The heat absorption qualities of the fuel are used to cool engine oil and sometimes cool the airframe. These qualities also allow it to be pre-heated before use to improve combustion efficiency without compromising safety. Kerosene provides lubrication to fuel pump and fuel metering components. Current aircraft technology is optimised around the use of kerosene. Changes in aircraft fuel will require changes in both aircraft and engine design. Aircraft being manufactured today are expected to be in service for 30 years or more. Airlines will be unwilling to turn their backs on these major financial investments mid way through their amortized life. We can expect these assets will still be flying and will still be using kerosene at that time. In the long term there will have to be an alternate to petroleum aviation fuels. One major uncertainty is whether technology will change to accommodate the future fuel or whether the fuel will be selected to match the available technology. The ideal jet aircraft fuel will have a high energy content, wide operating temperature range, safe, clean, inexpensive and widely available. Lets take a look at some of the alternatives. The most commonly discussed alternative aviation fuel is hydrogen. At first glance, hydrogen is a good choice. It has a specific energy 2.5 times greater than kerosene and generates no CO2. Hydrogen does have some disadvantages however. Hydrogen requires a cryogenic storage system. The pressures involved will require cylindrical or spherical tanks and even with this high pressure storage system, hydrogen's energy density would be only 40% of kerosene. That means that for the same design range, the fuel tanks will need to be 2.5 times larger and significantly heavier. Hydrogen power will therefore require a radical change in aircraft and engine design. The combustion of hydrogen generates 2.6 times as much water vapour as the equivalent quantity of kerosene. At high altitudes, water vapour is a potent greenhouse gas. Notwithstanding this, the IPCC forecast that a hydrogen powered aircraft would be more environmentally friendly than the kerosene version at all altitudes. The greatest single problem with hydrogen will be its availability and possibly cost. Before manufacturers will invest in the design of a hydrogen aircraft for commercial service and before airlines would consider adding them to their fleets, there would have to be universal availability of hydrogen at every airport the aircraft is intended to serve, as well as every conceivable alternate aerodrome that might be selected due to weather or technical difficulty. There is currently no worldwide infrastructure and hydrogen will not be a practical jet aircraft fuel until there is. Alcohols are another potential fuel but they too have their complications. Alcohol fuels have between 50% and 75% of the specific energy of kerosene. An alcohol fuelled aircraft might be 25% larger than an equivalent kerosene powered aircraft due to the increased volume of fuel. 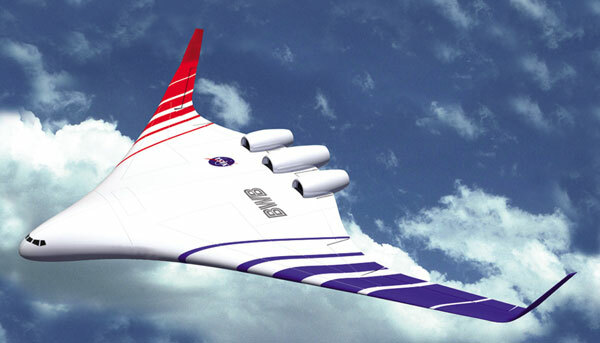 The engines may be 50% larger due to the combined increase in fuel and aircraft weight. Another significant argument against alcohol is its affinity for water. Alcohol readily absorbs water vapour which, in the extreme cold of the stratosphere, would turn to ice crystals and block fuel filters. Alcohol evaporates at significantly lower temperatures than kerosene and it has a flash point of at most 18°C. Alcohols are worse for Volatile Organic Compounds which are bad for the ozone layer and when operating at low power settings alcohol fuelled engines generate some hazardous by-products, including formaldehyde. Biodiesel is another potential aircraft fuel. On its own, biodiesel is unsuitable for jet aircraft due to its very high flash point, very low volatility and because it thickens and crystallizes at the temperatures found at jet cruising levels. Biofuels generate less than half the greenhouse gas emissions of kerosene. For this reason, the International Airline Transportation Association (IATA) has committed to using 10% biofuel across the industry within ten years. Biodiesel is currently approved as a "Kerosene Extender" at concentrations up to 10%. It may eventually be approved for use at concentrations up to 20%. The fuel that holds the greatest promise in the immediate future is synthetic kerosene (synfuel). Synthetic kerosene can be made from coal, natural gas or biomass. It is currently approved for use in commercial aircraft in a 50/50 mix with petroleum kerosene and aerospace manufacturers plan to have a fully synthetic fuel approved in 2006. The biggest advantages of synfuel are that it frees the aviation industry from dependence on petroleum resources and that it can be used in existing aircraft. Synthetic kerosene is slightly cleaner than petroleum kerosene but this does not take into account the large amount of CO2 generated during production. The relative merits of synfuel will depend on the raw material used to produce it and the CO2 mitigation strategy employed. Figure 4. 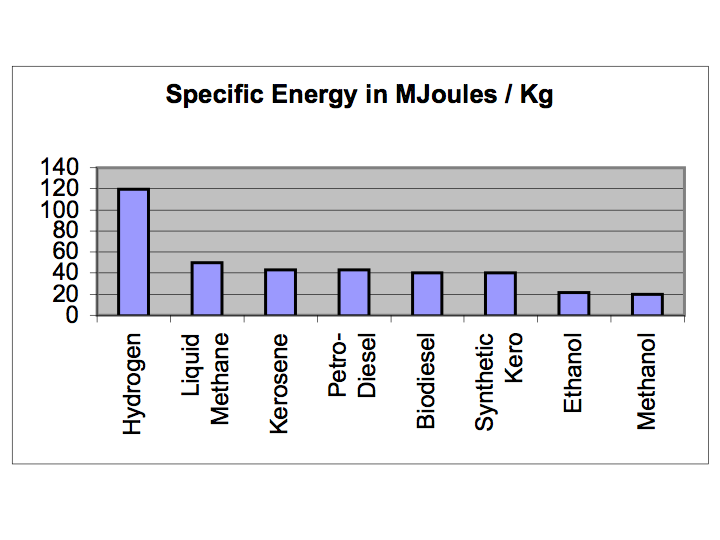 A comparison of the energy content of potential jet fuels. Aircraft engines have been using kerosene for decades and engine technology has been fine tuned around this fuel. Every year, incremental improvements increase the overall efficiency of aircraft but no large technical advances are forecast. Operational efficiency improvements are now offering the greatest rewards. Technical improvements generally apply to new aircraft but operational improvements apply to all aircraft, new and old. In fact, the less efficient the aircraft, the greater the benefit. Aircraft consume large amounts of fuel during their lifetime and even small reductions can have a large cumulative effect. As emissions are directly related to fuel consumption, any reduction in consumption will also mean a reduction in environmental impact. Manufacturers and airlines are putting significant effort into fuel efficiency. In the past, determining the required fuel load for a flight was an inexact science and included a healthy contingency factor. There are significant savings to be had by reducing the total amount of fuel on board the aircraft at departure to the minimum safe amount. The key is being able to accurately determine the fuel required based on aircraft weight, expected routing and accurate forecasts of winds and temperatures aloft. Modern sophisticated flight planning computer programs allow an accurate determination of the minimum fuel needed to carry out the flight. The calculations will even vary with individual aircraft. For large aircraft on long flights the savings can be measured in tonnes. Further improvements will be realized when air traffic control forecasts of traffic density can be factored in at the flight planning stage, rerouting flights to minimize delays and therefore fuel consumption. Modern onboard navigation systems and satellite positioning systems allow aircraft to navigate the forecast routing to a high degree of accuracy. Computer generated flight plans can be accurate to within one minute and several kilograms of total fuel requirements. The longer the routing from departure to destination, the greater the fuel consumption. Many new routes take advantage of the improved navigational accuracy of modern aircraft allowing more routes and greater use of shortcuts between enroute waypoints. 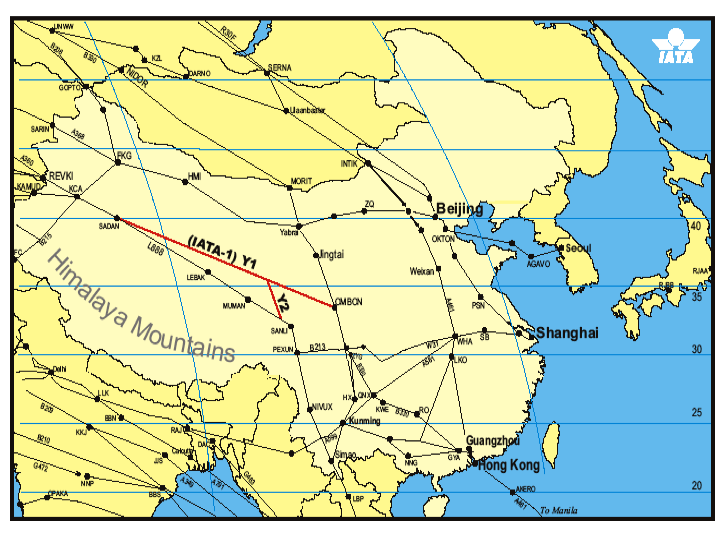 The new Y1 and Y2 air routes over central China are a good example. IATA forecasts that these new air routes will save 30 minutes on flights between China and Europe, resulting in a combined saving of 27,000 tonnes of fuel per year. Similar improvements are realized by new air routes across the North Pole. The IPCC predicts a 6 to 12% improvement in aircraft fuel efficiency by 2020 through more efficient air routes. Figure 5. The new Y1 & Y2 air routes over central China will save 30 minutes flight time. These savings are modest compared to the predicted savings from the next generation of air traffic control. The Future Air Navigation System (FANS) or Free Flight allows aircraft to fly the most efficient direct routing between airports and eventually from gate to gate. FANS relies on accurate flight navigation computers on board the aircraft, sophisticated air traffic control computers on the ground and satellite positioning and communications systems. FANS is currently being tested on selected aircraft and routes. The move towards larger, integrated air traffic control centres which provide a seamless service across a larger area. Continuous Descent Approaches which minimize the time aircraft spend at lower, less fuel efficient altitudes. 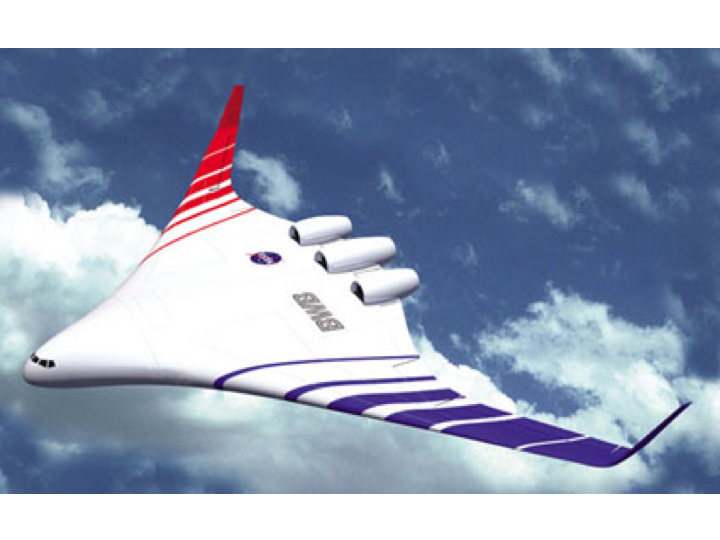 Aircraft technologies are continually improving. Aircraft coming off the assembly line are significantly more efficient than earlier models. They are also more efficient than the same model of last year. This continual improvement results in a year on year improvement in efficiency of at least 1%. Aircraft currently in service will become less efficient over time as they accumulate minor surface damage, coats of paint and dirt. In this respect, the general improvement in safety is reducing even minor incidents that result in repairs and the resulting increased weight and reduced efficiency. The company "Gas Turbine Efficiency" claims that their engine turbine cleaning service can win back a 1% improvement in fuel efficiency. While these individual strategies each produce only small improvements, together they add up to major savings. The International Airline Transport Association (IATA) claims that member airlines have improved their fuel efficiency by nearly 20% over the last ten years and 5% in the last two years. Load factor is a measure of airline efficiency. It is the percentage of the total number of seats that are occupied by passengers on a particular flight. The load factor of a flight will vary from day to day but will follow a normal distribution around a mean. There is a limit to the mean load factor an airline can expect to achieve without losing customer goodwill and losing passengers, perhaps to the competition. A situation known as spill. Improved revenue management and direct sales channels allow airlines to increase average load factor while minimizing spill. Sometimes this improved revenue and capacity management allows an airline to operate fewer services on routes on which load factors were too low. Across airlines and the industry this trend has led to a reduction in overcapacity and is one of the reasons that airline fuel consumption has been growing at a slower rate than total passenger growth. Large fuel savings will be realized when passenger perception of airline quality is de-linked from energy wasting activities. Many airlines will start engines and join the queue at the runway knowing that there will be significant delays on departure. This improves the airline's on time departure and arrival statistics but is extremely wasteful. Similarly, aircraft will aim to get airborne on time knowing that favourable winds will bring them to their destination well ahead of schedule, sometimes before the airport even opens. For years, the aviation industry has been playing on passenger perception that jets are better than propeller aircraft. After a period of time in which the turboprop aircraft was almost completely wiped out of the market they are starting to make a comeback. The turboprop engine is simply a jet engine driving a propeller. Modern turboprop aircraft are able to match the speed and comfort of regional jets on flights up to 500 miles. These aircraft use the same fuel and have the same reliability as jets while delivering outstanding reductions in fuel consumption, greenhouse gas emissions and noise. If airlines fail to achieve emissions reduction targets on their own we could see a return to increased government intervention in which restrictions are placed on aircraft size and frequencies on each route. This is effectively the system in place at the moment on most international routes. While the current move is towards a more liberal system called Open Skies, government climate change objectives may force a reversal of the trend. Hydrogen powered aircraft in particular offer little hope until there is a world wide supply in a mature hydrogen economy. Global warming emissions will continue to be a problem whichever fuel is being used. Even ultra clean hydrogen has global warming issues and we can expect that aviation will eventually be called upon to account for all its climate change effects, not just carbon dioxide. The cost of switching to non kerosene fuels is extremely high. The aviation industry is likely to accept very high fuel costs before any wholesale switch to an alternative. 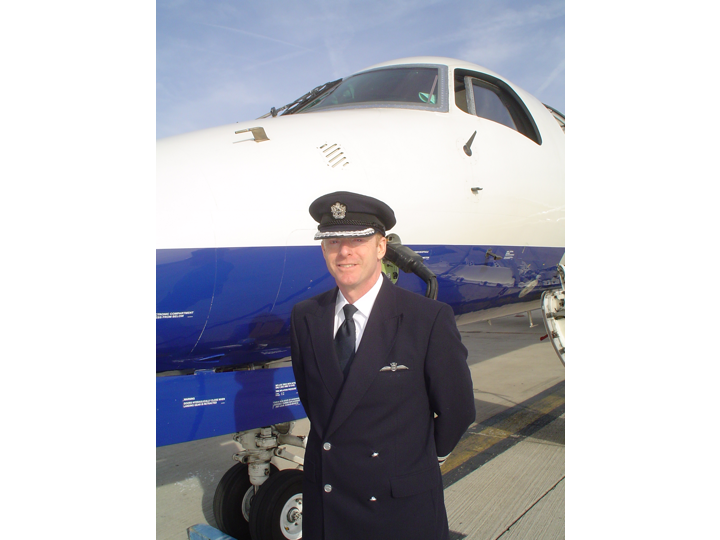 Christopher Smith is a Captain with BA Connect flying the 50 seat Embraer-145. He has 11,000 hours as Pilot-in-Command of commercial aircraft and holds a Master of Science degree in Air Transport Management. Is there any indication that airlines are prepared for the likely reversal of the trend towards more flying, as costs increase, and alternatives (high speed rail, video-conferencing etc.) improve? A very high percentage of air travel is quite discretionary - I've already talked my way out of being flown overseas for business (from Australia to the U.S.) twice in the last year, by proving that there was really no need for me to be there physically. Since Peak Oil is upon us, why would you not want to fly for free around the world? This may be the last chance we regular folk have to fly commercial airlines on intercontinental flights. I would jump at the chance to fly all around the world on my company's dime. Well I'd like to say it was because I was trying to conserve oil and reduce GHGs, but in reality it was being separated from the family that I was trying to avoid. Plus the hassle of travelling (I got quite ill from jet-lag-induced sleep deprivation last time I travelled)...business trips rarely give much of a chance to do anything touristy. Anyway, while I agree airline flights will significantly increase in price over the next few decades, they probably won't get much more expensive as a proportion of disposable income than they were, say, 30 years ago (trying to find some figures, but I'm willing to bet they were at least twice as expensive back then). Is there any indication that airlines are prepared for the likely reversal of the trend towards more flying..? There are many contradictory trends in the airline, airport and aircraft industries at present. This in part is because the energy debate is driven by climate change and not by fuel shortage. In the UK, all our major airports are being expanded to accomodate a future upsurge in air travel which I do not think will materialise. Higher interest rates in the UK are beginning to bite, and so one of the first responses to this is for the budget airlines / charter business to cut their fares even more as families forego foreign vacations. After a year of this, I imagine we will hear of bankruptcies. Video-conferencing etc is already being used increasingly - but I think the reason here is that business people are plane sick of flying - crowded air ports, delayed flights, security checks etc. I used to fly a lot - but now just a couple of flights a year. The manufactureres - Boeing and Airbus - are playing out a high risk end game for supremecy and it looks like Boeing might win. The A380 Superjumbo looks ill-conceived at present while the 787 Dreamliner that has fuel efficiency at the heart of the design looks like a future winner. My own feeling is that we will be able to continue to fly on kerosene at current volumes for a few decades yet. As petroleum supplies decline, electricity will substitute for ground transportation and aircraft will use an ever increasing proportion of the available liquid fuel. The price of flying will escalate and it will once again become the domain of the rich. I'd also watch out for The Gulf States (UAE, Qatar, Kuwait) buying foreign airlines - airlines with jet fuel will have a distinct advantage over those that do not . The legislative bodies around the world are so busy writing mandates forcing us not to drill here or build an effective oil alternative plant there and forcing gas mileage figures on the auto industry; yet I doubt if it has even crossed their daft minds to mandate video conferencing/fax/internet means of conducting business. This is the 21st century for Pete's sake. Why are we still wasting huge amounts of precious oil to endure airport rage, jetlag, and needless expense when we now have the technology to do this stuff from the comfort of our own homes and offices? There ought to be a law! Then there is the question about what happens to the general aviation fleet, which mainly operates with AVGAS or MOGAS. Is GA shortly doomed? Or has anybody any clue about if there could be some sort of solution? I have a floatplane myself,and fear it will be grounded within five years or so if one believes the ELM forcasts. Just hot air here, so takes it for what it's worth...but I do think GA is pretty much doomed. The costs involved with owning, maintaining, and operating an aircraft are large enough that people form groups to share the costs. Sometimes large groups, yet there are still plenty that are wealthy enough to privately own an aircraft. I don't know about Sweden, but in the US costs can include tie downs/hangers ($60 - $150/month), mandatory 100 hour or annual inspections ($2,000+), insurance ($4,000+/year depends on value of plane) - and those are just fixed costs before you even turn the key, for something that sits around most of the time. At current prices, maintenance costs per hour can run $40-80 per (Hobbs) hour, and fuel is consumed at 6 to 10 gallons per hour (AvGas is about $5/gallon right now). Most of the people I know that fly - "stretch" their income quite a bit to accommodate it, and an extremely small fraction do anything but "fly the patch" - that is, they don't use them for business travel, but for enjoyment. Thus, most GA flying is discretionary - not even remotely necessary (though sky crack is extremely addictive and makes you believe it's necessary). When people start getting squeezed by the economic Armageddon that PO represents, somethings gonna give and when the spouses start laying down ultimatums "it's either the plane or me" - they'll probably (reluctantly) choose the spouse. I could see, possibly if economic Armageddon goes easy enough, a rise in popularity of ultralight things (which in the US don't require annual/100 hour inspections or insurance and are generally more fuel frugal) gaining some popularity like powered parachutes, trikes, fix wing ultralights, para-gliders, hang-gliders - that kind of thing, but GA as it is now...I don't see any way it's not going to be toast. I myself own an american twoseater kitplane only on floats, based on the river outside my house. Because its an experimental, i can do the maintenance by myself. So my costs mainly is for fuel(15 litres/hour),and a smaller cost for insurance. But you are right about the ordinary GA costs, they are about the same in Sweden. So i don´t really care about the price of fuel(MOGAS), as long as i can get it. But i have decided to fly as long as i can get fuel, and be the last man standing in northern Sweden with regards to flying floatplanes(perhaps i will be historical as the last floatplane pilot up here). This is a very interesting exposition on the technical details and economic considerations behind aircraft fuel ... but what about demand destruction? If kerosene simply becomes unavailable ... or less available ... and flight prices double ... or triple ... pretty soon there won't be any jets flying. I live on the Iowa/Minnesota border and I find myself working in Las Vegas (1458 miles). I drove this first trip to have a car and flights in advance are on par with Amtrak ... but I think the Southwest Chief will be running long after United planes are being stripped for their copper and aluminum. I noticed that, although the technical side was covered, there was no hint on the make-up of the "most efficient" air transport network. The article also brushed over the fuel use on take-off and climb itself, which can be significant, although the fuel used from the gate to take-off was mentioned. I wonder how much fuel would be saved if aircraft were towed from the gate to the threshold before starting engines? Could we take the idea a step further and use launch catapults as used by aircraft carriers? I believe the most logical place that talk of hydrogen and flight leads is air ships which overcomes the need for a launch velocity. He didn't say steam, he didn't say over a cliff. Maybe his idea wasn't good, but you filled in details that he did not provide as if you had to reach this conclusion. What if you took the opposite approach? b) For long haul where there is no convenient alternative to air travel for some purposes/people (bring back the sailing ship?) it is better to trunk route large aircraft hub-to hub. First Class /Club class should disappear. Since predicting floods is useless unless you built arks, I have spend 25 years "building arks" beside railways in the South of France. It's great. The French I think have got it made - TGVs running on nuclear electricity. I asked the questions. Where did people go on holiday before cheap air travel and how did they get there? Answers: French Riviera and trains. The above link shows a sample of the options. My wife and I have 7 more. They look lovely - exactly what I had in mind. Vive la France. How much fuel can be saved by aircraft optimized for slower speed flight? Hydrogen as fuel would make DC10s look safe. Imagine an accident with tonnes of compressed, frozen hydrogen exploding out. As for what airlines are doing , British Airways is planning to expand its long haul fleet and proposes to inaugurate services between continental European cities and the US. They are also conidering buying Iberia with a private equity partner. How daft can one get? These companies are not run by idiots, and you can be sure they spend big bucks researching the future viability of their operations. Yes, no doubt they mostly trust what comes out of IEA, but given how much their future hinges on fuel availability, you can bet they've seriously considered the possibility of av fuel shortages or price hikes, and of course the impact carbon taxes etc. will have on their operations. 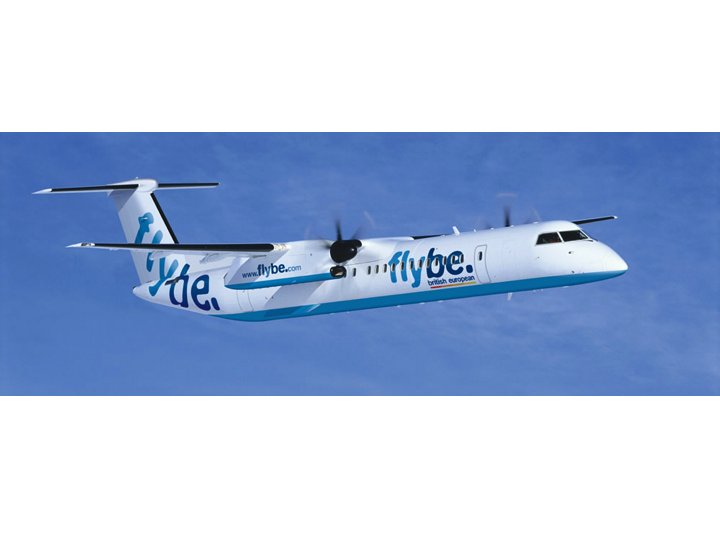 They must realise by now that at some point there will quite possibility something of a contraction in demand for air travel, but there's enough profit to be made out of the next few years of increased demand to justify expanding the fleet. And of course what they release publically as far as their future plans go will always be suggestive of the likelihood, nay, certainty of increased profits. No company tells its shareholders that their shares will almost certainly be worth less in 10 years. These companies are not run by idiots, and you can be sure they spend big bucks researching the future viability of their operations. I was a senior manager of British Airways and used to attend Executive Board Meetings. Your opinion is news to me. Hmm, well, I'd defer to your first hand experience then. But I do know Shell, for instance, spends huge amounts of researching future trends that are likely to affect their business. If BA are really that short-sighted, then they won't be around in 20 years time - as Euan suggested, probably bought up by a Gulf-state airliner. Hydrogen as fuel would make DC10s look safe. Think of an aircraft as a pressure vessel with inside air pressure at 5000 feet while the outside air pressure in 35000 feet. Would anyone sensible include a cargo door that opens outwards so that if it is not properly closed it blows away. Now add that a depressurising cargo hold will cause the passenger cabin floor to collapse into the hold dragging out the cables that enable the pilot to control the tail. Some McDonald engineers had figured there was a problem. This flaw was also found by a Canadian pilot who managed to land his aircraft using engine power . (He had actually practiced this already in a simulator). This was during a Nixon administration that was trying to "minimise bureaucratic regulation of business" so that when the flaw was identified, there was there was no mandatory FAA public notification to fix it. McDonald Douglas were informed privately that there should be 4 repairs but they later delivered an aircraft to Turkish Airlines without the repairs having been done. This aircraft crashed on take off from Paris in 1973 or 1974 killing all aboard. I guess you missed my "wink" ;) that indicated my sarcasm. :). The 10 is not a great aircraft. Let us not forget the Sioux City accident, either. Take care. "I believe that even pigs and DC-10s can fly..."
One of the few facts about airplane safety that is really hard to change is fuel tank safety, or rather lack of it. Oil based jet fuel can do all things compressed, frozen hydrogen can do at the kinetic energy levels you get from flying 900-1000km per hour. Or about 300 km per hour which is a typical speed for take off and landing accidents. High energy density in a lightweight (we want to get off the ground, dont' we?) , highly optimised design such as a commercial aircraft means you can not afford serious structural protection or fire protection of the fuel tanks. Period. If you don't want to travel in bombs waiting to go off travel by train or in SOLAS 1990 certified ships. And just to repeat, if any of the hydrogen is frozen, temperature 13.8 K, then it's probably not compressed, triple point vapour pressure 0.07 bar (1 psia). Here's a long treatise", PDF format that looks straight to me. Has pictures. I too would like to know what the price elasticity of airline flights is -price doubles, what's the drop off likely to be. Real burning would waste some of its energy on producing oxides of nitrogen. No aircraft will fly on ammonia combustion. The rocket engine in the X-15 burned ammonia and liquid oxygen. That something has been used as a rocket propellant almost means that it is totally absurd as a fuel for any more normal purpose, with the exception of kerosene. There are all manner of odd requirements placed on rocket propellants (you'd like low molecular mass combustion products, for example, which you probably don't really care about in other applications) and low cost and ease of handling tend to low on the priority list. The price elasticity of business travel is quite low, about .5, meaning a 10% fare increase cuts off 5% of traffic. The price elasticity of leisure traffic is around 2, meaning a 10% fare hike loses 20% of traffic. Most long haul air traffic is leisure. If fuel costs are about 25% of total cost, a doubling of the fuel price means 12.5 % on fares and, in most cases, 25% less traffic. BTW the low fare carriers are almost entirely leisure and they get to take the early baths. The big guys get government bailouts- for a while. Reduced economic activity will reduce air travel, business & leisure, even more. is wrong. Because the hydrogen is cryogenically liquefied, it does not exert any particularly large vapour pressure on its tank walls, and those walls' interior shape can be as arbitrary as the shapes of kerosene tanks. Liquid hydrogen is not high-pressure. Assuming it stays cold. The failure mode is not so good. Too bad relief valves and fuel dump valves won't be invented until the 38th century. How many wind turbines would be required to produce the hydrogen by electrolysis to fuel a daily service from London to New York - One 747 sized jet flying each way each day (i.e. two planes in service)? Assume 5 MW turbines with 30% load capacity factor. Both Luis and Chris came up with similar answers using different methods which can be found here. for electrolysis, liquefaction, transport, transfer of LH2! Hydrogen can never compete with its own energy source. A “Hydrogen Economy” has no past, no present and no future. Certainly the idea of an economy run off "hydrogen" as an energy carrier makes little sense, but I wouldn't completely write it off as a useful liquid fuel for certain forms of transport. It's hard to see how it could possibly ever complete with PHEV and eventually pure EV technology for personal vehicles, but some big auto-manufactures appear to think otherwise. Again, they're not run by complete idiots. General Motors is a counter point. And Chrysler as well now. They have just hired a guy who almost ran Home Depot into the ground. Book smart people are capable of doing very dumb things (Pick a quagmire) and many CEO's are not even book smart IMO. The most important qualification is to look and act a certain way. Perhaps, but that BMW, say, would appear to be putting so much faith into hydrogen research indicates that obviously talented and successful industry players see a real possibility of future profits there. To go around claiming "you will never drive a hydrogen car" is to effectively say "I know way better than the collective wisdom of several of the world's most successful car manufacturers". It seems more likely they know something I don't, than vice versa. "that BMW, say, would appear to be putting so much faith into hydrogen research indicates that obviously talented and successful industry players see a real possibility of future profits there." No, they a) don't want to be left out if something unexpected happens, like an unexpected breakthrough in hydrogen production or distribution, and b) they see a PR benefit. "It seems more likely they know something I don't"
Not really. Again, the car companies are covering all the possibilities to prevent being left behind. Unexpected things happen. A perfect case in point is the sudden reversal of GM & Toyota: Toyota had the hybrid tech crown all to themselves. Then they committed themselves to older li-ion battery technology that has a slight fire risk, had a few recalls on other vehicles, and lost their nerve and went back to NIMH. Now, suddenly GM is in the tech lead with the new-gen li-ion battery powered Volt. We shouldn't dismiss big organizations (government, corporations, etc) lightly, but once we do our research (including finding out what those big companies know that we don't), we should trust our judgement. Big organizations are guessing in the dark far more often than we realize. That's the biggest flaw with most conspiracy theories: they assume that big organizations are far, far smarter than they really are. I don't think we disagree at all...just felt there was need to point out that extreme beliefs like "hydrogen cars will never ever happen" or "oil imports will be down 50% by 2010" require a certain amount of arrogance. As far as trusting one's judgement goes, sure, but these are all complex issues, with huge unknown quantities - the biggest of which is human behaviour: predicting how humans will respond to particular technological and social challenges is virtually impossible, but you can bet it will only rarely be in the most rational and logical manner. As it happens, "hydrogen cars will never ever happen" was a bit extreme 10 years ago, but now I believe there's a growing consensus on it. I think batteries have put fuel cells in the position of having missed their window of opportunity for portable applications. I think Hydrogen was a bait and switch job. California wanted zero emissions, and by working on hydrogen (forever) the auto companies could fend off legislation and do nothing (forever). It is a good presentation. Sometimes you just need a clear perspective to see through the cluttering details. We have two nuclear power plants in Minnesota. I just cannot imagine adding another 20 or so just to power the airport. Or how long it would take to build them. It fits with your post yesterday saying that it is hard to believe alternatives can scale up in the few decades (years?) before decline takes over. The more you can see how huge our current usage is, the harder it is to believe it can be replaced. Water will be a major problem for all energy production - another reason I think the push should be for controlled powerdown senarios. France had to close some of its nukes last year and buy electricity off the spot market because of water shortages... I can only see this getting worse in the short term. "You can never solve a problem on the level on which it was created." I think the cooling water drawn from rivers was too warm. Airlines will end up serving long haul routes that no other tranport system can provide. As we transition to electric based ground transport, airplanes will not be able to compete on routes under 500 miles. For example, a trip from the Bay area to LA takes 3-4 hours by air if your final destination is not near the airport. Getting to and from the airport and security lines lower the average speed of 500 mph plane to under 100 mph. This makes aviation impractical once we have 150 mph ground transport. High speed rail has failed for similar reasons. You need to stop your 200 mph train for every town on the route. Solution? PRT (personal rapid transit) can go from SF to LA in 2.7 hours (400 miles) by not stopping along the route and getting you to within 1/2 mile of your destination. This article, although good, misses a couple of major fuel savings trends. Boeing is pioneering all composite (carbon reinforced epoxy) fuselages, composite wings, using electricity instead of pneumatics (bleed off of the engines) and very high bypass engines in the 787. Boeing claims a 20% fuel savings over the 767 and Boeing has a history of exceeding development claims. The same technology is likely to be applied shortly to the 737 replacement. Unfortunately (fortunately for USA exports) Airbus is unable to match the fuel saving advantages that Boeing is pioneering in a timely manner. Alan, with all of that technology they have only been able to squeeze a 20 + % improvement over a design that is approaching 30 years old. That alone seals the issue for me regarding aviation. The very laws of physics indicate that it will never be a fuel efficient mode of transport in comparison to what can be achieved on the ground. I cannot see how the industry will not eventually contract to at least 1/2 or less of its current size. I also am undecided regarding the point - to - point versus hub scenario. In a situation where ground transport is prevalent and air travel much reduced, I could easily see a hub scenario with ground modes (electric rail, bus etc.) as the spokes and air connecting the hubs, especially on an international level. In other words, you take the train to Kennedy, LAX, SFO etc. to catch your flight to Heathrow, Frankfurt Am Main, Tokyo Narita etc. You don't catch a flight from Cleveland or Cincinatti or Charlotte to Birmingham or Dusseldorf or Glasgow as Boeing thinks will happen increasingly. The first generation plastic plane will save 20+% (Boeing routinely exceeds expectations) due to conservative designs. I figure at least 5% more for the 737 replacement and subsequent 787s. Yes, the industry will shrink, perhaps using half to 1/3rd as much fuel as today (the drop in pax-miles will be less due to better fuel economy). I think Boeing has it right regarding point-to-point. although you mis-state their case. In the next 30 years. there may be electrified railroads in the USA, but not high speed ones outside a few corridors. Given the geographic distances, Dusseldorf can be served by Frankfurt or even Amsterdam, Brussels or Paris; Birmingham England by London, but Glasgow is more difficult. Cincinnati and Charlotte are natural regional hubs in the USA, and Cleveland might be, or might be connected to Cincinnati or another city. In a reduced aviation environment, there will be little need for A380 service in the USA. A dozen or so 787 flights should service the NYC-London market (the 787 should have = seat-mile fuel burn to the A380), with a few Philadelphia-London, Boston-London, DC-London flights, despite their good rail connections to NYC. DC-Brussels (bureaucrats talking to each other plus other misc travelers) seems a good market despite the good rail connections between London & Brussels and DC-NYC. In other words, where ever there is a large enough market for direct flights (even 3/week), there is likely to be 787 service post-Peak Oil. And the threshold market demand for 787-8 service is fairly low. It seems likely to me that the 737 replacement a/c will be capable of US East Coast-Western EU service, and this could lower the threshold even further. The Icelandair model is interesting. A group of flights arrive from US cities (many smaller) and a few Asian cities, the pax transfer, and proceed onto a variety of EU cities. One transfer (with extra fuel costs), but a good way to get from Minneapolis to Glasgow and Keflavik is close to the Great Circle route. Kerosene was first isolated from coal in the early 19th century as a byproduct of coal gasification. Therefore, it seems strange to me that its considered synthetic kerosene. Its a real shame that coal-to-liquids is such a CO2 generator. But, since there's a lot of coal, and airplanes are a major component of the military, we're going to see a lot of it. I think this makes it all the more imperative to get rail electrification as soon as possible. The biggest consequence of our having failed to conquer Iraq is that the Mid East will embargo oil to the US and Britain.So getting electric rail is a matter of national security and economic security. Since the early 1970s there have been hydrogen cars, including ones with insulated liquid hydrogen tanks. They have all benefited from the availability on public roads of hydrogen in liquid hydrogen tanker trucks. Their failure to thrive has been for other reasons than the sometimes-alleged lack of available retail hydrogen; it has in fact not been lacking. It seems conceivable to me that those other reasons might not apply to large aircraft, and if that is true, hydrogen tanker aircraft coming to the same airports as the planes that need the stuff would be a sufficiently universal infrastructure. So, if it takes 8 GW of continuous power to provide for the Frankfurt airport's hydrogen planes, how many would it take to fly hydrogen to other airports (using hydrogen) to fuel their planes? Methinks the discussion isn't pragmatic. We all see the futility of unnecessary flying. Even the military has a budget for training flights, and THEIR planes are used to GET the oil....or at least to ensure its delivery ("keeping the sea lanes open" and all that). From my experience, I tend to think about military aircraft and crop dusters. General Aviation should be called "Luxury Aviation", since almost none of it is absolutely necessary. General Aviation is like Federal Express: it is most often used in cases of PPPP (P Poor Prior Planning). Vacationers can take a boat or train. What's the point of a vacation if you have to hurry to the airports all the time to lose your stuff? As for military aviation: I only have this to say; "Harrier", "Fully Armed takeoff", and "Not a chance in an icy hydrogen hell." The only way hydrogen is going to lift a loaded Harrier is with a plutonium starting charge. Better to look at the Burning Boron idea. At least the runways and those British ski jumps would be clean from all that Twenty Mule Team Borax. Boron likes to burn slowly and steadily in pure oxygen; I doubt it could make the megawatts a jump jet requires using an oxygen extractor the jet could lift. In cars it will be just nice, and the ash will all stay aboard. It has already been mentioned that higher fuel prices and declining discretionary expenditures in a contracting economy will take a heavy toll on airlines. Others have mentioned that electrified passenger rail can eliminate the need for air for most short-distance intercity travel of up to a few hundred miles. I think someone also mentioned videoconferencing as another nail in the coffin. I don't recall if anyone mentioned the increasingly severe security protocols and the increasingly unpleasant character of the entire flying experience. It has been enough to make me determined to never fly again if I can possibly avoid it, and I know I am not alone in that sentiment. The expansion of business air travel is largely a function of rapidly integrating national, continental, and global economies. As energy prices increase, economies will have to localize. As economies localize, there will be less trade. As there will be less trade, there will be less need for business trips to do business. Now that we know how to do it, there will probably continue to be some air travel as long as there continues to be a civilization. However, because it is so energy intensive, air transport will probably be rare, filling a small niche at the top of the transport "food chain".
" As energy prices increase, economies will have to localize. As economies localize, there will be less trade." Not really. Water shipping is very energy efficient, so it will easily bid fuel from other uses. Further, it could be made much more efficient. Finally, it could run largely on solar, wind and batteries. Since 2001, I have flown once. I don't like the security, don't like being cramped into an overcrowded plane and inconvenience. I prefer ground travel if possible. If rail, gets revived,it's how I'll travel. I have owned an airplane for the last 23 years, and about 95% of my flying is for business and paid by my employer. With today’s security measures, I can beat the airlines, time wise, on most trips under 500 miles. There have been instances where I have flown the airlines on trips of over 1000 miles, that I could have made faster with my Mooney. I can usually match the cost of the airlines with just me aboard, and if more then one need to go to the same place, the savings can be quite substantial. I have to qualify this by saying that I'm a certified aviation mechanic and do all of my own maintenance, which reduces the operating cost a lot. With regard to avgas, the differential between the price of car gas and avgas has stayed about the same for as long as I can remember. When car gas was $0.80/gal avgas was $1.60/gal - twice as much! Now that car gas is $3.00/gal I can get avgas for $3.80/gal. The same $0.80/gal differential. I tend to think that because avgas is a boutique fuel, it will always be available. The amount of gasoline stocks diverted to avgas production is miniscule, so it won't impact the refiners much to stay in the avgas business even when they have to ration car gas. I can see the day when I will have to wait in line to get gas for my car, but can fuel my plane any time I want. Pyrolysis of wood or paper waste generates several energy streams. Methanol in small amounts, suitable for gasoline engines. Pyroligneous Acid in large amounts, mostly acetic acid, acetone, ammonia, etc, suitable for diesel engines. Oil in large amounts, suitable for jet engines if the tanks are insulated and the fuel lines cleaned out by solvents on a regular schedule, ditto as bunker fuel for shipping. Charcoal in large amounts, for the Terra Prieta enthusiasts, or as a low sulfur source of syngas for methanol. CO/CO2/H2 in small amounts, suitable for syngas for methanol production. If you dump the charcoal into the soil you are actually removing net carbon from the atmosphere, just as if you were burying it in a landfill. The problem is that cutting fuelwood is labor intensive and labor costs are high in the Boreal forests where most new timber production is happening. Lumber production competes with corn and sugar cane production in agricultural regions. We need the food. So most of the wood production in the industrial world could be used (after a delay in the form of paper or lumber) for aircraft, ship, or locomotive use, or even for cars if we can still afford them.